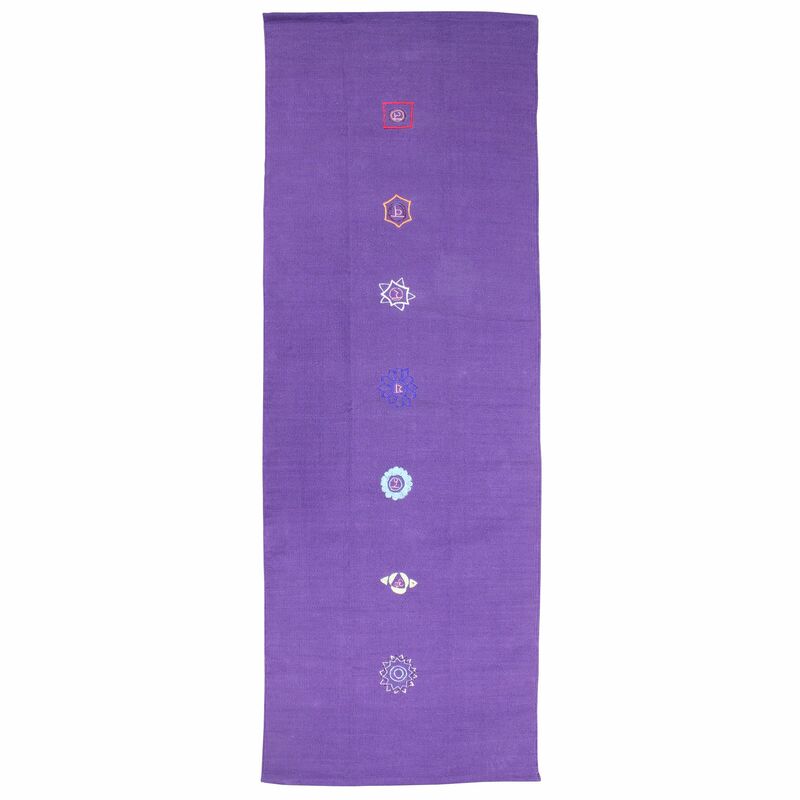 Great for yogis who practice Asthanga and Power Yoga, the Yoga Mad chakra pattern cotton yoga rug is beautifully embroidered with each of the seven Chakras (fully connected spiritually, focused, communicative, loving, confident, connected and rooted). The rug’s grip increases as it gets wetter and it can be used under a standard yoga mat to keep it in place. Plus, the rug is suitable for handwashing in cold water and has been manufactured from coarse weave cotton (100%). 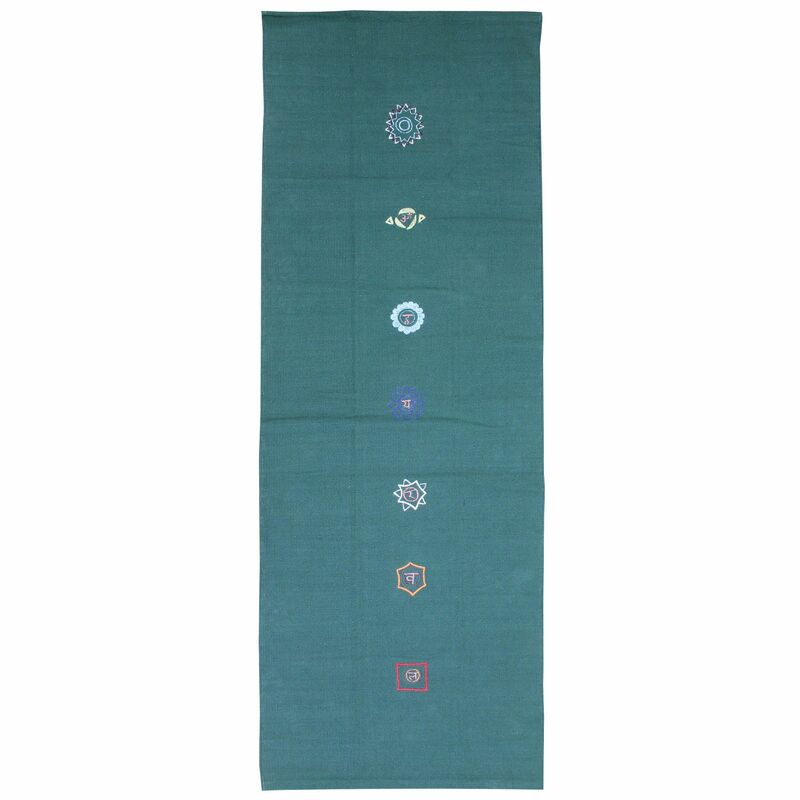 for submitting product information about Yoga Mad Chakra Pattern Cotton Yoga Rug We aim to answer all questions within 2-3 days. for submitting product information about Yoga Mad Chakra Pattern Cotton Yoga Rug. We aim to answer all questions within 2-3 days. If you provided your name and email address, we will email you as soon as the answer is published. A great yoga rug - I just put it on top of my mat. Very grippy even with sweaty hands and feet. It is amazing that there is a cotton rug - it is my favourite. I have definitely moved on from a polyester yoga towel! for submitting product review about Yoga Mad Chakra Pattern Cotton Yoga Rug.